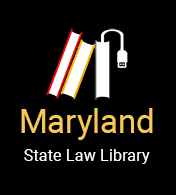 If a person who lives in Maryland wants to take advantage of the divorce laws of another state or country, he or she should consult an attorney both in Maryland and in the state or country in which they may have the option in filing a divorce in, concerning the legal consequences of such a strategy. Maryland will recognize valid out-of-state divorce decrees that meet the requirements of the court granting the divorce judgment and with jurisdictions that have similar due process rights as Maryland. However, this judgment may be open to challenge if the party obtaining the divorce did not establish bona fide residence in the awarding state or the awarding court did not have jurisdiction over both parties or over the children, if custody is determined by the judgment. If an annulment or divorce was granted by a court in another state or country, a court in Maryland may award alimony to either party if the other court lacked or did not exercise personal jurisdiction over the party seeking alimony and if that party was domiciled in Maryland at least one year before the annulment or divorce was granted. A divorce obtained in another country may be a valid termination of the marriage contract, but a party may find it difficult to have the terms enforced in Maryland. A party should discuss with an attorney any issues regarding a divorce obtained outside the United States. Original text from "Legal Rights & Divorce in Maryland," published by Women’s Law Center of Maryland, Third Edition, 2008., edited by Evan M. Koslow, Esq., Koslow Law Firm, LLC.